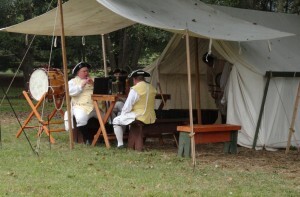 Due to the rain, militia men and the Fife and Drum Corps musicians formed small clusters in the center and spoke to and played freely for visitors. Pretty neat! 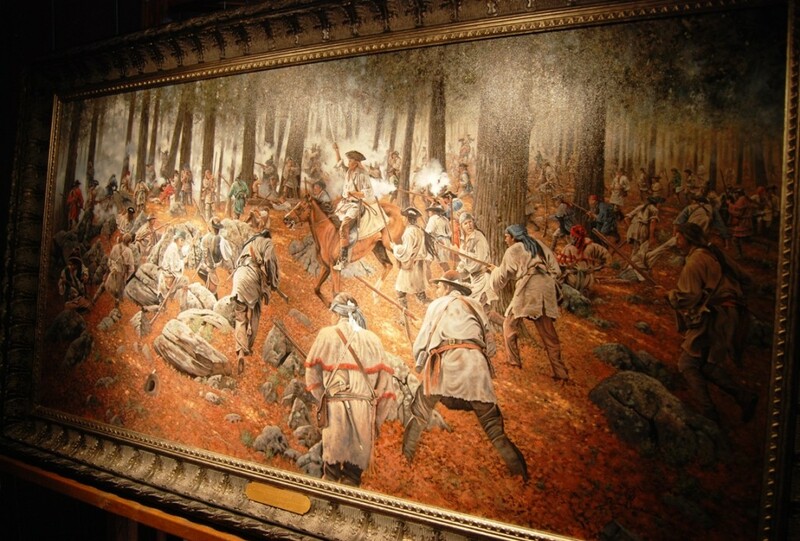 Next, artist Richard Luce unveiled his most recent painting “The Patriot Victory at Kings Mountain October 7, 1880.” The painting was stunning in its size (about 6′ long) and detail. I had a wonderful chat with the artist. 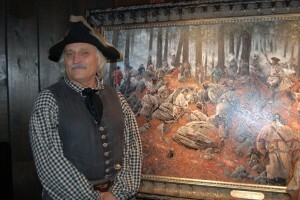 Mr. Luce told me that the painting took exactly 4 months to complete. He commenced painting in April and finished just in time to leave 3 weeks for the canvas to dry. I told him that the face on each and every soldier was so expressive that the painting seemed to speak! Go see it, if you can. Oh, and it’s for sale! Next I entered the museum. 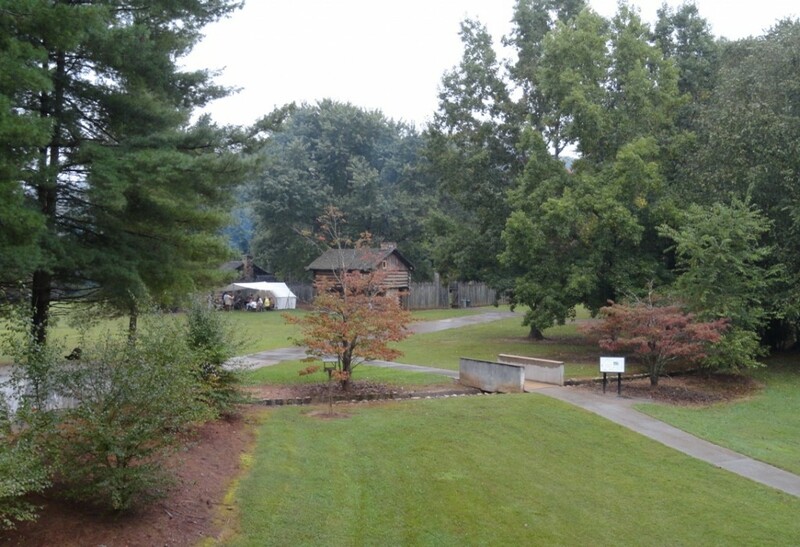 Although Sycamore Shoals has had a visitor’s center since 1975, the museum has been completely redone. Above is an example of what the written narrative displays look like. They are fantastic. 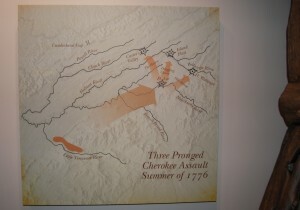 Numerous events critical to our nation’s history took place in this region. 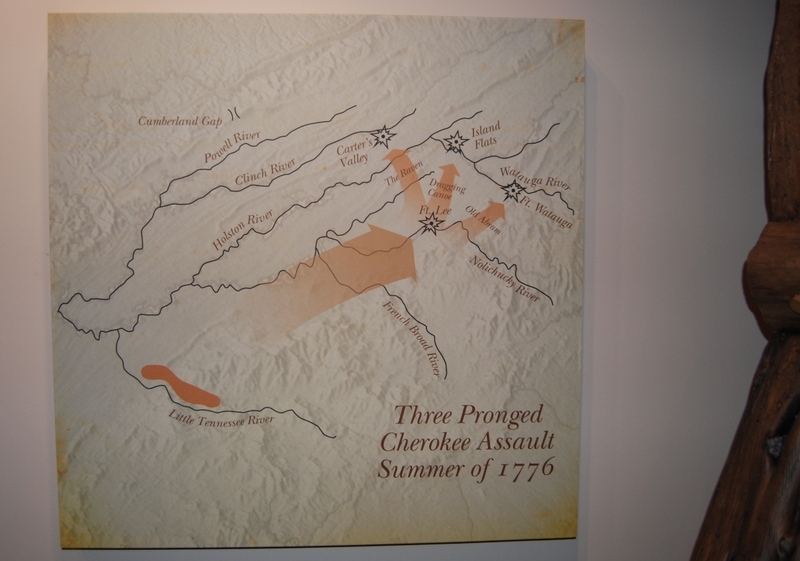 It was/is the homeland of the Cherokee, it was acquired by white settlers through the Watauga Purchase, it was the seat of early democracy via the Watauga Association, it was the center of conflict with Native Americans due to multiple treaty violations necessitating the construction of Fort Watauga, and it was the muster grounds for North Carolina and Virginia militias that gathered on September 25, 1880 and marched to Kings Mountain, South Carolina to defend Appalachia from an American loyalist division of Cornwallis’ army led by Major Patrick Ferguson. 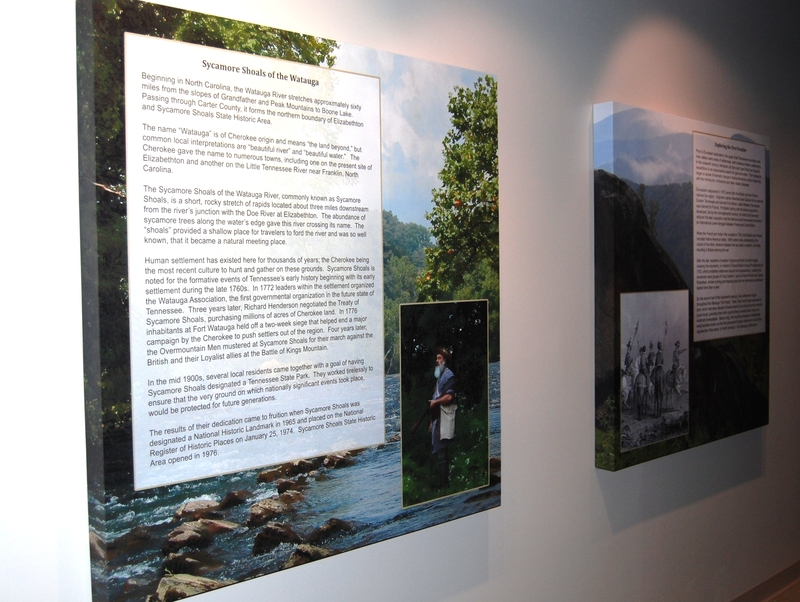 The exhibits touch on all of these events and more. 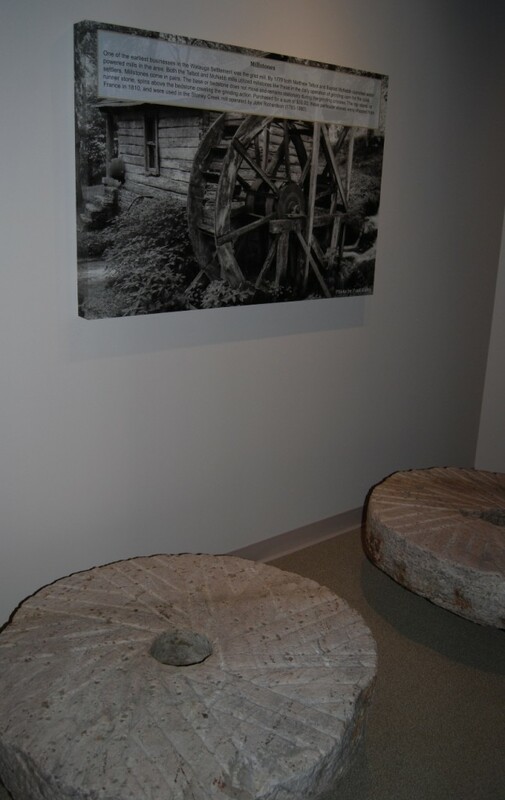 Millstones from the nearby mill at Stoney Creek of John Richardson (1783-1860). This was one of my favorite displays. The museum boasts some of the best-crafted models I have ever seen. Incredible costumes, natural postures, and facial details combine to make these mannequins lifelike. A variety of media, including maps, artifacts, interactive exhibits, audio narrative and more, ensure that visitors will have an immersive experience. This is the view of the fort from the balcony of the center. Picturesque. 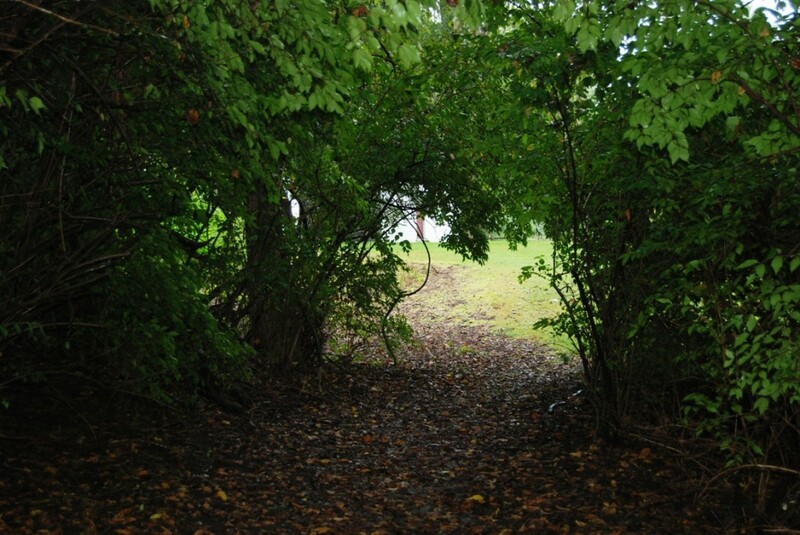 Here is the inside of the fort. I learned from costumed docents that the actual site is about a mile away, and while there is a marker there, the site sits on private land. 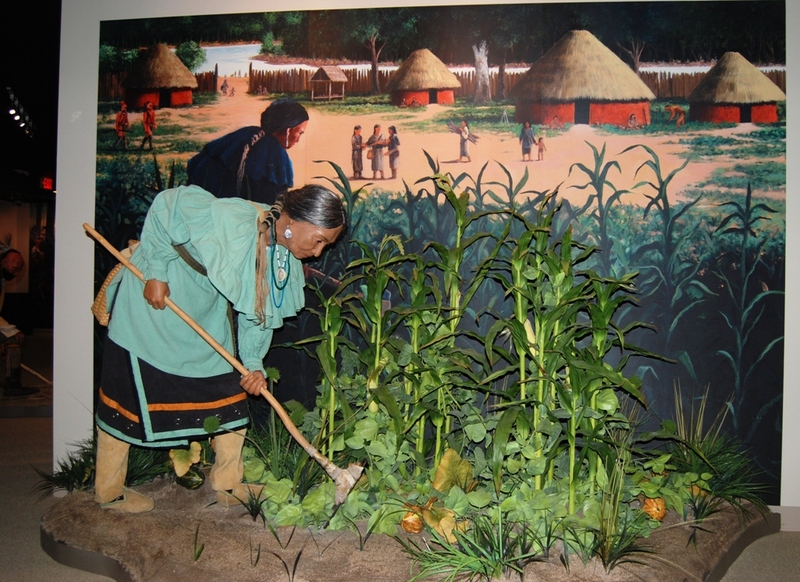 After an archeological dig was completed, the fort and its buildings were reconstructed at its present location according to the archeological findings from the original location of the Talbot family’s property. 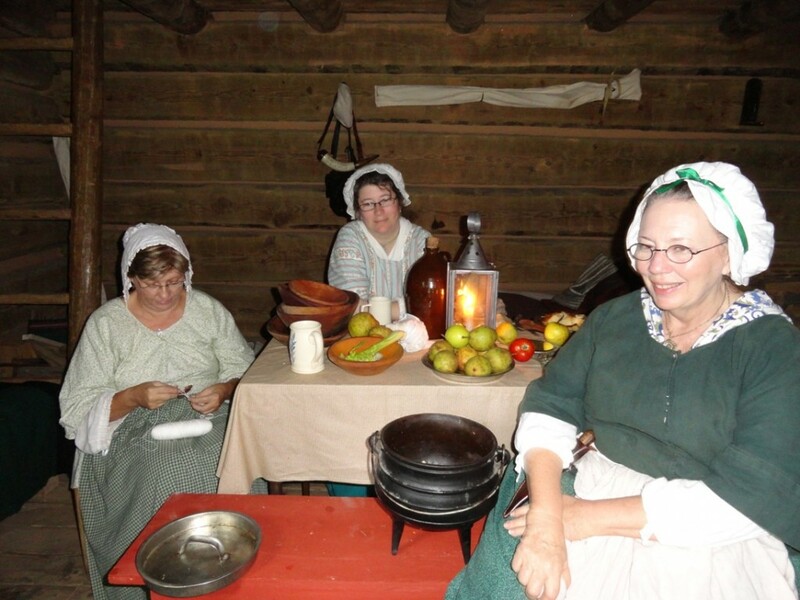 At the various structures, I learned from volunteers about sleeping arrangements, family dynamics, indentured servitude, and even about pear pie. The members of the Friends of the Sycamore Shoals support group were some of the nicest people I’ve met. 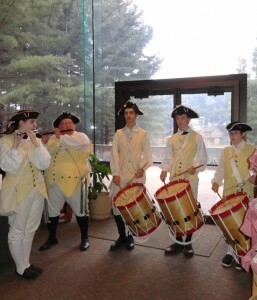 Lastly, I spoke to the musicians of the Fife and Drum Corps. If you are 12 years or older, are musically inclined, and find performing at history events fun, you should join them for their weekly Saturday, 11 am rehearsals. They invited my daughter to dust off her fife and join them when she returns from Korea in January. With my camera, umbrella and sack lunch I headed down the road to the sister location of the Carter Mansion. The Carter House was built by John Carter and his son Landon between 1775-1881. The grounds were so beautiful. 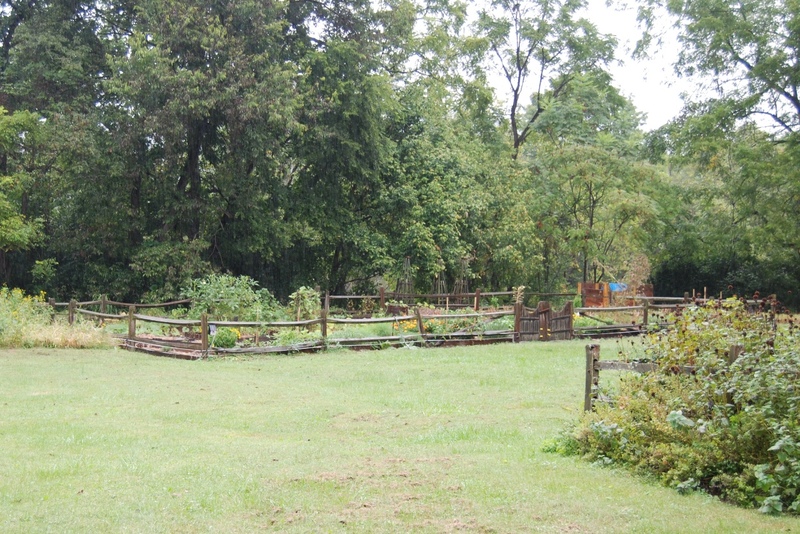 I didn’t get to go inside, but the map I was given helped me locate the vegetable garden, the family cemetery, and the scenic walk down to the banks of the Watauga river. After my tree lined walk back to the home, I visited the graves of the Thomas family, who were the last residents of the home and occupied the property from 1870 until the late 1960s (entirely without indoor plumbing). The Thomas family is buried within and without these beautiful stone walls. 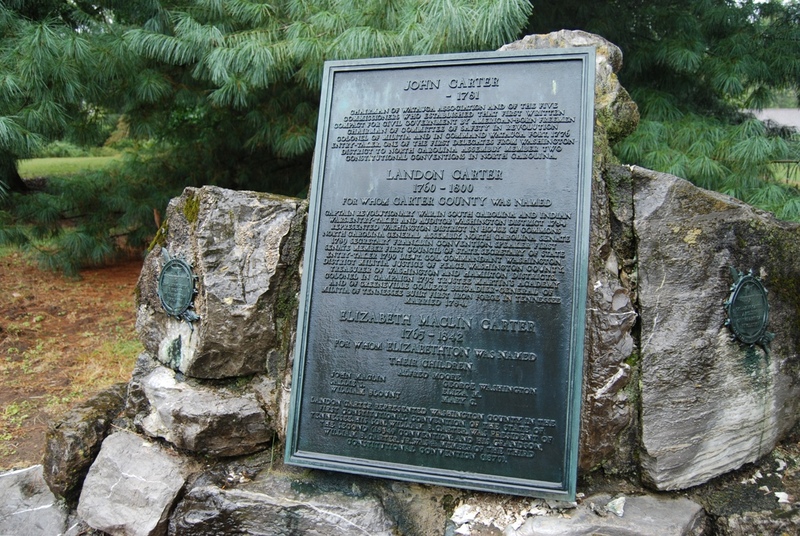 John Carter died from small Pox in 1781. 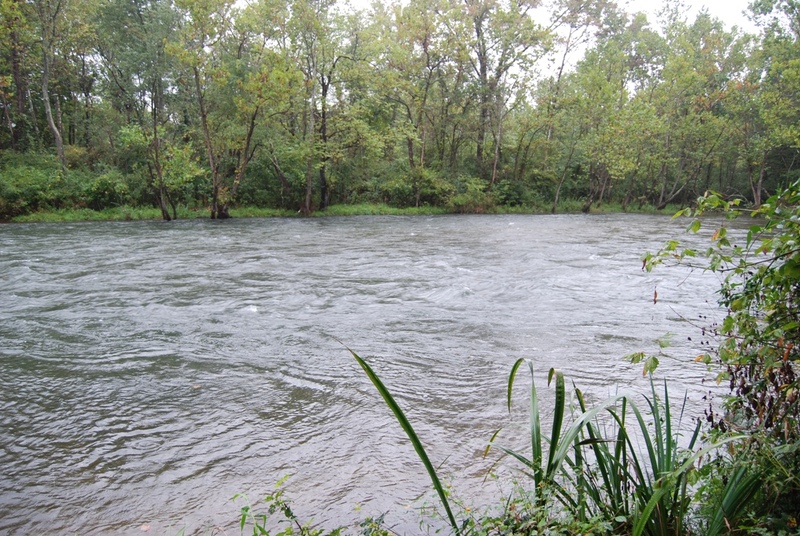 Carter County, TN, is named for Landon Carter and the town of Elizabethton is named for Landon’s wife Elizabeth. 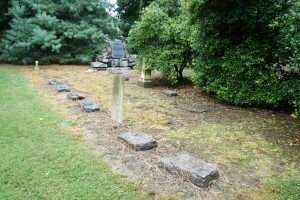 As well-kept as this cemetery is, it was still amazing to note the wear on the stones. Luckily, all of the engravings were long ago recorded because I could not read most of them. 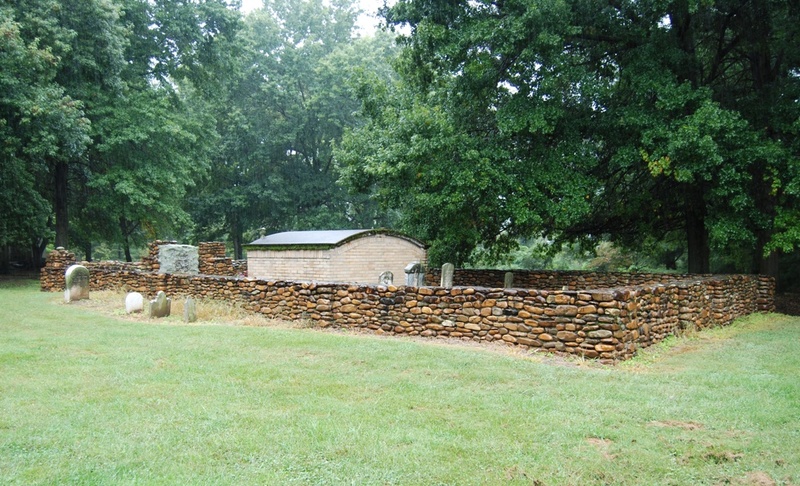 In the approximately 11 years that John Carter lived in the area, he built the oldest standing frame home in Tennessee, acted as a fort commander during the Revolutionary War, was a founding member of the Watauga Association, and twice served as a delegate to the North Carolina Constitutional Convention. 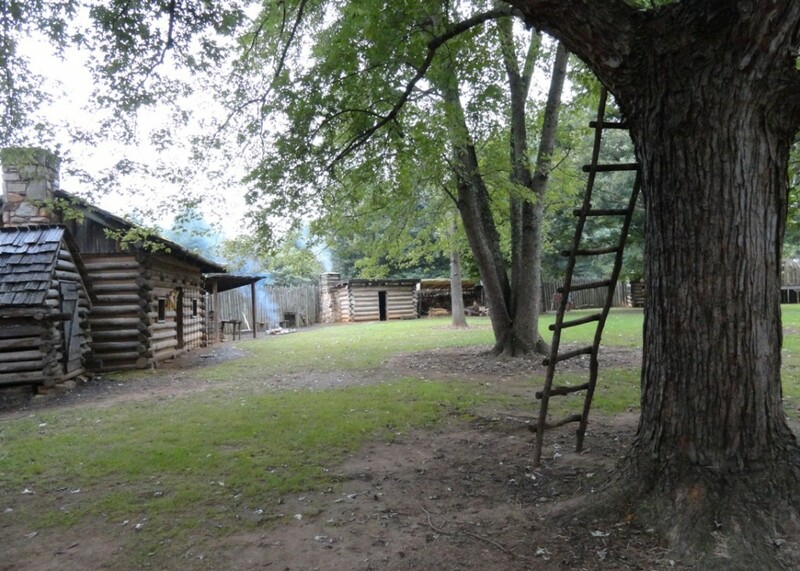 His son Landon followed his example of leadership in state government, in military duties, and in business, establishing the first iron forge in Tennessee. 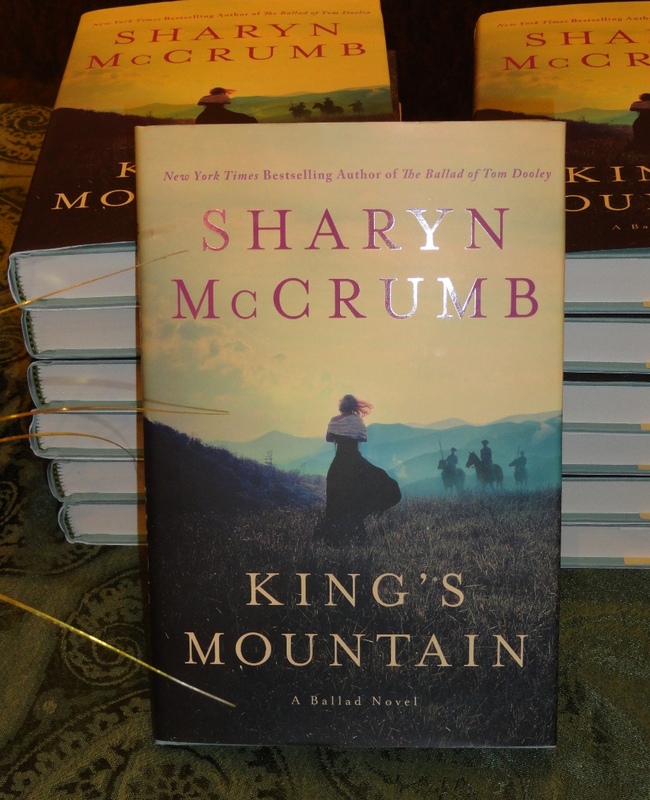 I returned to Sycamore Shoals in time for a presentation by author Sharyn McCrumb of her new book, King’s Mountain. This was her very first book tour stop, as the book is not officially available for a few days. Her last stop in October will be at Kings Mountain. I found the author to be thoroughly charming and informative. She spent an entire hour with us before she began signing books. 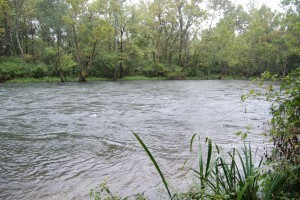 Well, that was my day at Sycamore Shoals. 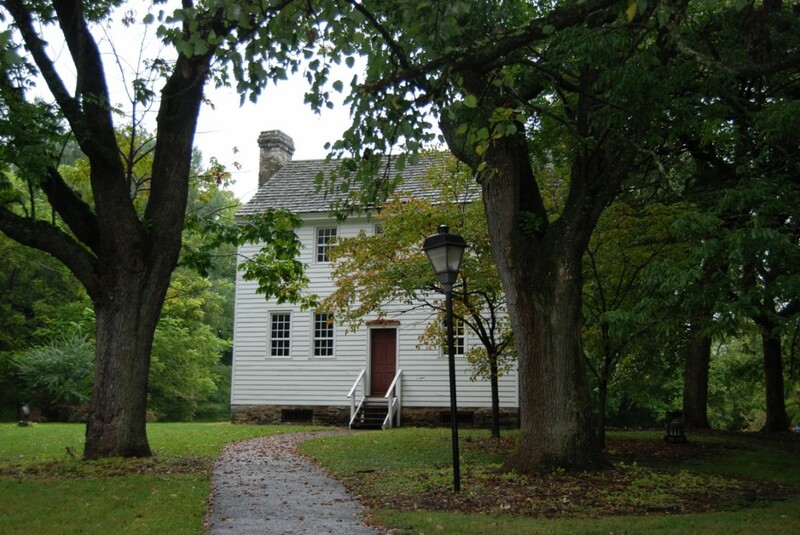 If you want to learn more about the people whose stories are celebrated here, definitely plan a visit. 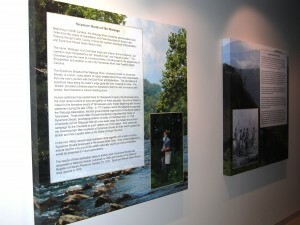 Another source of information is the Muriel C. Spoden Collection at the Kingsport Archives. 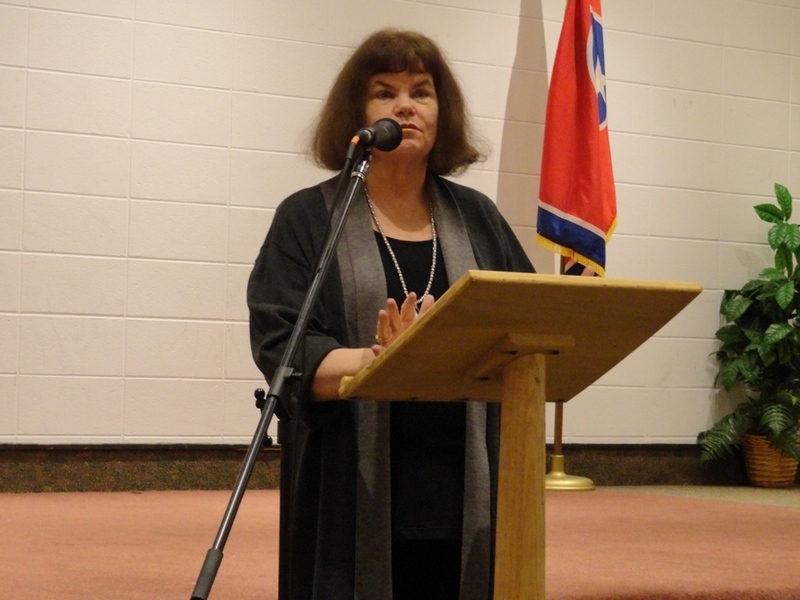 During the late 1970s and early 1980s, Ms. Spoden conducted extensive research into the history of the land and the people who settled and struggled over it. 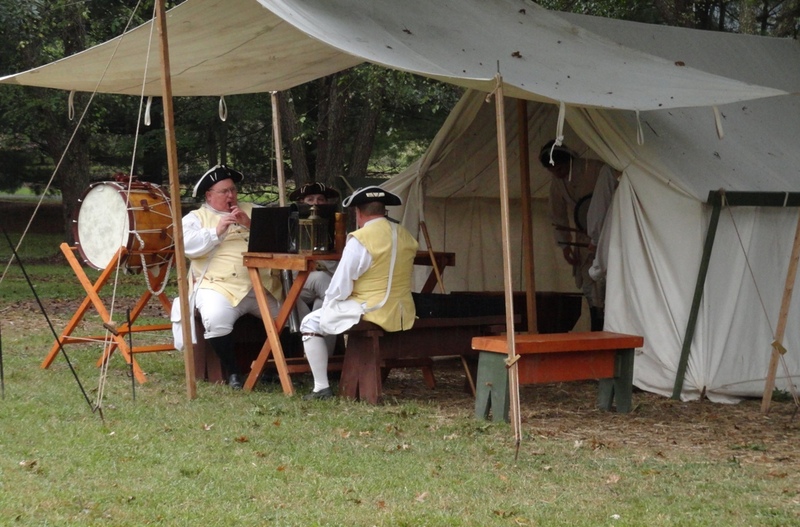 There are four boxes of Sycamore Shoals research materials in the collection. 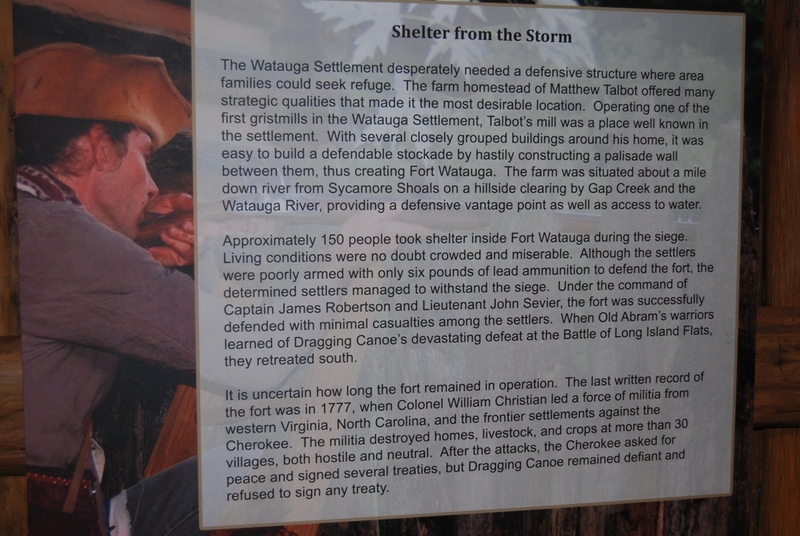 Thanks to everybody at the Sycamore Shoals State Historic Area for an educational and uplifting day. 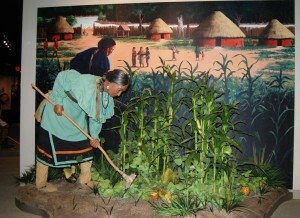 This entry was posted in Field Trip and tagged historic sites, museum, Tennessee. Bookmark the permalink. The Carter Manson picture is my favorite! Sounds like it was a wonderful day full of history. Loved this post. We ran the Overmountain Men 15k Victory Run a couple years ago. While we were being driven to the start line, they had a historian tell us about them. So interesting! Also, I love Sharyn McCrumb. I would love to read her new book.